When I was just a visitor, and my days were long with SXSW songs. Now that I’m a full blooded Texican, my days are long with music festivals. There was Dia de Los Toadies. I have Fun Fun Fun Fest coming up. 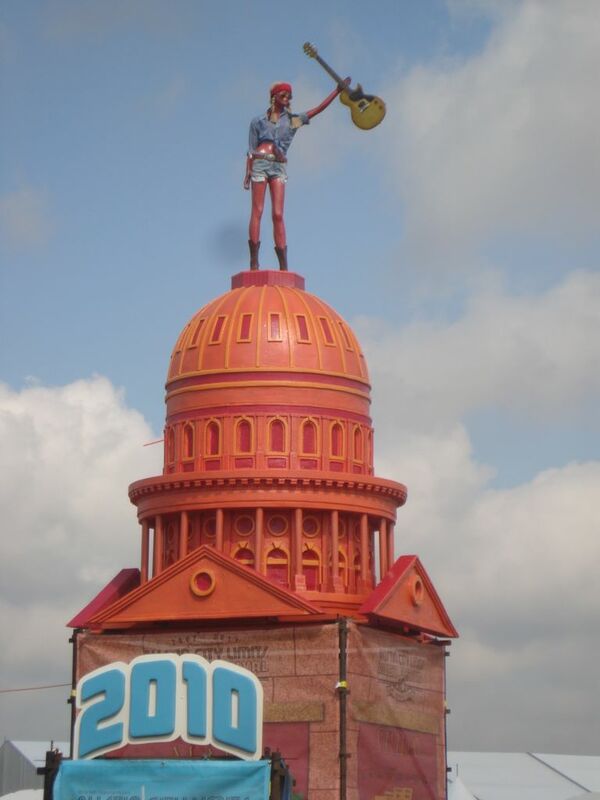 But the one festival that the locals chirped about last March was the Austin City Limits Music Festival. I lucked out and nabbed a Sunday ticket for the show. 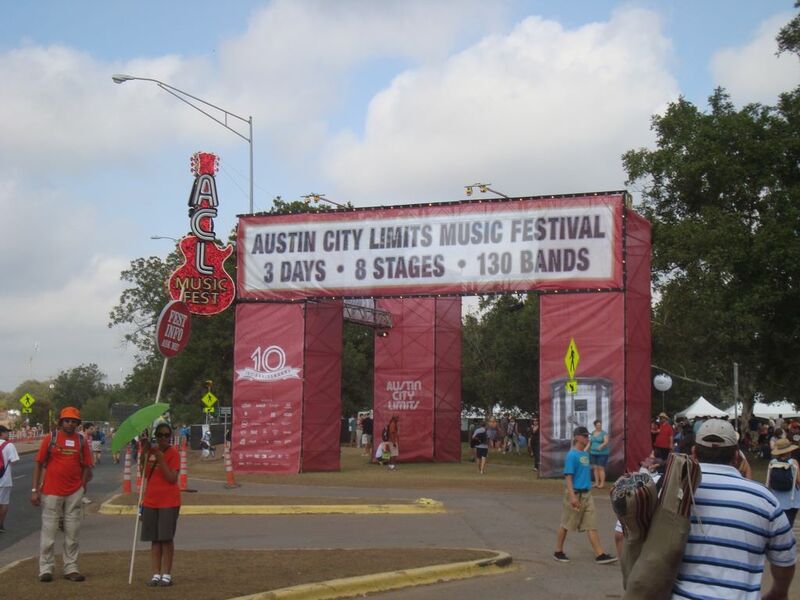 Austin City Limits began life as a PBS show featuring music acts displaying their best for the upper crust crowd. It soon devolved to an all out music love fest for fans all over. The popularity grew to the point where a 3 day festival materialized to set up many of the acts that graced the tiny television stage. So ACL Fest lives and I put my stamp on its presence on their 10th anniversary. So last Sunday, I made the bus ridden trek to Zilker Park to listen to some more tasty music. With festivals coming and going, I’m beginning to notice a couple of patterns floating around the festival circuit. Many festivals have the weird tobacco product tents that seem to be all secretive and hidden. 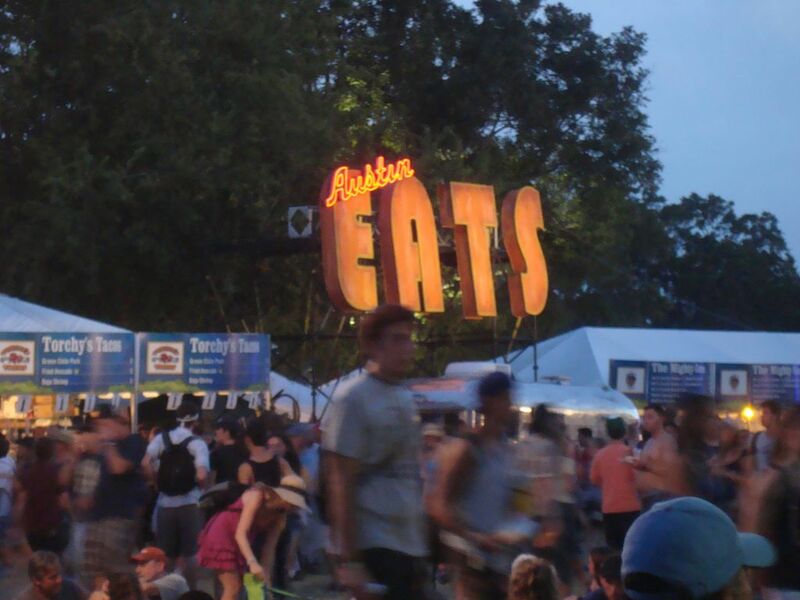 The same type of fried foods make their way into festivals, although for ACL we had more local fare. Beer is about the same price (over). The finest thing for me are the air conditioned ‘recharge’ tents that have plenty of plugs to recharge any type of device. Oh, and there’s crappy artisan tents setup with overpriced junk too. I was there to see the music. Mariachi El Bronx was at the top of my list and they kicked of my ACL Fest in a hot and spicy way. I first had a taste of these guys at SXSW 2010 and now they are back with another LA/Mexican mash. It may be my location but for some reason, I really jam out to these guys. They seem to have more fun than me though on stage. Next up on my must see list was Awolnation. They are an up can comer in terms of alternative rock. Their big hit, ‘Sail’, was all I knew of them. The show seemed to be a little sloppy, but whoa nelly they had alot of fun on stage. The songs were hit and miss but I see the potential. Plus, using a boogie board to crowd surf is super awesome. Number one on my must see list for the day was Death From Above 1979. They were a flash of greatness in the early 2000s and I’m embarrassed to say that I didn’t hear about them until last year. For two guys, they produce enough rock to fill out a 6 piece metal band. The grooves were there and the wailing fell on happy ears. The only time I saw a mosh pit, however passe it is now, was at this set. That’s all you need to know. The sun was coming down and it was time to cool down from the hot heat of hard rocking. What better way to sooth the skin and my soul than kicking back and relaxing to some Fleet Foxes. The a capella was all there and it massaged my mind with lovely melody and rhythm. If there ever was a poster child for Sunday morning music, the Fleet Foxes would be on the first print run. It’s a shame I couldn’t get much closer but the Bud Light stage was the main on and everyone piled on quick for the evening shows. The last must see for me actually closed out the night at Bud Light stage. The Arcade Fire doesn’t really spark my soul but they do play some pretty darn good tunes. Unfortunately, we were so far away and so wiped out from the day that they didn’t sound to awesome to me. Now they were good and I got to hear some of my favorites from them, but the day’s events fatigued me enough to just bail halfway through the set. There were a handful of others I got see that weren’t must see, like Dale Earnhardt Jr Jr and Empire of the Sun. They were nice slices of cheese in between the meat patties of acts I wanted to see in the sandwich that was the Austin City Limits Music Festival. For the price, Dia de Los Toadies was better, but for overall talent and knocking down my must see list, ACL Fest 2011 totally fit the bill. Hopefully next year it will be a little bit cooler, they moved the dates to October, and then I can survive more of the day. Until next year, ACL Fest!